We offer a huge assortment of VPL Trainer Kit which includes VPL Trainer Kit (VPL-PTEC), VPL Trainer Kit (VPL-PTPLC), VPL Trainer Kit (VPL-PTSPLC), VPL Trainer Kit (VPL-PTK) and PL Trainer Kit (VPL-HTEC). The VPL Trainer Kit, we offer, finds applications in educational institutes & different industries for training and development purposes. 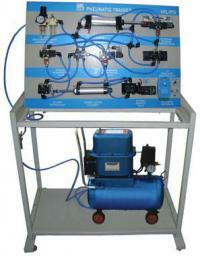 We are an eminent VPL Trainer Kit Exporter & Supplier in India.